If money, space, and time were not constraints, a full-blown hybrid fix-installed system room would be a great solution for almost any hospital or medical facility. Since all three are considerations, choices need to be made on what C-arm equipment makes the most sense when considering a facility's needs. Jon Gingrich, vice president and general manager for Skeletal Health Solutions, Hologic, notes technology in general continues to get smaller, faster, and provide more capabilities. "The market demands the same out of C-arm technology, and that's why we continue to see most manufacturers replace image intensifiers with new flat detector technology," he says. "This helps save on space [and] provide more versatile positioning options and better image quality." David Ferguson, a director of product management for GE Healthcare, says the latest buzz in C-arms revolves around companies looking more broadly into the overall clinical workflow in operating room (OR) settings. "Versatility of case load management [and] optimizing the utilization of C-arm technology while standardizing practices in the OR are the challenges for health systems today," he says. "This is why we are focusing our attention on delivering a comprehensive portfolio of C-arms that deliver greater versatility to designing and managing an OR suite. This approach helps bring breadth and depth across multiple disciplines and procedures from vascular to spine to trauma to general surgery." Another key topic in the industry today is how health care providers can limit radiation exposure to both patients and staff. Facilities and C-arm manufacturers continue to look for ways to monitor and limit exposure to protect providers and patients while producing high-quality images. Lisa Reid, director of surgery and urology segments for Siemens, says the company recently filed with the FDA for clearance on three new C-arms from its Cios family of C-arms. "Two years ago we introduced the Cios Alpha, a larger flat-panel detector utilized a lot in vascular imaging," she says. "Building on that, some people prefer smaller C-arms for orthopedic-type procedures, where you have to turn C-arms in different directions and position it around the patient a little more intricately, so at RSNA we introduced the Cios Fusion, geared more toward orthopedic procedures." There are numerous choices for facilities in the market today for new C-arm equipment. It's important to start a search with an assessment of the facility's imaging needs. What types of procedures and studies will be done? Depending on imaging needs, the space needed, functionality, and cost can all vary considerably. "They should look at how many procedures they are doing a day and the types of procedures," Reid says. "If they are doing more than one or two vascular procedures a day, they might want to consider looking at FPD [flat-panel detector] C-arm equipped with vascular workflows to help streamline procedures. If they're doing one or two a month, and this isn't where they do the bulk of their imaging, some of the lower-end C-arms should be fine." Mini C-arms are specifically designed for extremity imaging with a smaller footprint and more mobility than their counterparts in the full-size category. They are used by orthopedic and other extremity surgeons for imaging the hands, feet, ankles, wrists, knees, and elbows and can be found in the hospital surgery or imaging departments, emergency departments (EDs), surgery centers, or physicians' offices. Full-size C-arms are much larger and designed for a wide array of health care applications. Unlike mini C-arms, these cannot be operated by the surgeon and are mostly found in the hospital surgery departments due to their cost, size, radiation protection, and range of uses. "If the facility specializes in extremity procedures, a mini C-arm system helps save time, cost, and space while providing excellent image quality at a very low dose. Large facilities with a busy OR, ED, or radiology department can have scheduling challenges due to availability of radiology staff. This is another situation where extremity imaging could be done by the surgeon on a mini C-arm to help save time [and] cost and improve patient throughput," Gingrich says. "If a facility is looking to do more than extremity imaging with their C-arm, it may need to consider a full-size system." Systems in this category vary greatly in size and cost depending upon the functionality needed for the procedures and studies the facility needs to perform. "Analyzing the hospital's needs and toughest challenges and providing options to address those are important," Ferguson says. "That way, the facility does not invest in technology with functionality and features that aren't needed," he says. 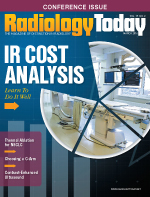 "Our team is comprised of registered radiology technologists who understand our customers' needs, and thus work closely with them to do a needs analysis by looking at things like the number of OR rooms, case volume, diversity, surgical mix, and budget, and then make the best decision from there." Kimberly Haas, marketing specialist for Ziehm Imaging in Orlando, Florida, says the company has seen the industry push the limits and expand the capabilities of mobile C-arms. "We see that more clinical procedures are being performed, workflow is being enhanced and patient outcomes are being improved by the increased capabilities in mobile C-arm technology," she says. Ziehm Imaging introduced a new C-arm in 2015. With its patented SmartScan, the Ziehm Vision RFD 3D generates 180 degrees of image information in CT-like image quality but keeps the benefits of the smaller dimensions of a conventional 2D C-arm. "The Ziehm Vision RFD 3D is a product that offers 2D and 3D capabilities in one mobile device and is designed for interdisciplinary applications and clinical versatility," she says. "What that means is a hospital can purchase one C-arm that on Monday can be used for orthopedic and trauma procedures utilizing its 3D capabilities, on Tuesday can be used for vascular procedures, and Wednesday be used for cardiac procedures, and so on." In addition, the fully mobile device offers surgeons the capabilities to perform the 3D scan while the patient is still in the OR. One example of new technology for C-arms is the use of distortion-free flat-panel detectors with up to 30 cm X 30 cm size, which is the technology you would expect to find in a fix-installed system room. "Much of the recent focus has been on flat-panel technology, and the promise of better image quality at a lower dose," Ferguson says. "Bringing this promise of flat-panel technology to reality, while further enabling greater value and outcomes to our customers is critical to improving health care." Flat-panel technology provides a square image vs the round image provided by the historical image intensifiers. "Consider the benefit of the additional information you now receive that was normally lost when in a round image," Haas says. "This additional information is especially valuable for ortho, trauma, and spine procedures. The use of flat-panels also allows for more working space for the surgeon as there is now more free space to access the patient without the large, round canister shape of an image intensifier." Newer systems are taking full advantage of new flat detector technology to expand positioning options available to meet the challenges of different anatomy. Newer models are designed to be feature rich and automated where possible with an intuitive graphic user interface to save time and reduce costs in OR suites. Reid says that because flat-panel technology gives users about 25% more coverage there is less repositioning of the C-arm during a procedure, as well as increased image quality, especially for vascular procedures. "We designed our flat detector to be rectangular in shape, and have the ability to both rotate and collimate," Gingrich says. "Mini C-arms are designed for imaging extremities where the anatomy is most often long and narrow. This rotating rectangular detector and collimator allow the user to change positioning to best suit the anatomy, and optimize patient dose. This minimizes unnecessary radiation to the patient and staff by not exposing unused area on the detector." It's important to be aware of the different methods used to reduce dose when using fluoroscopy, and how different manufacturers chose to use them. Gingrich says Hologic's Fluoroscan InSight FD system is up to 38% lower dose-area product (DAP) than competitive products, without the need for pulsed fluoroscopy. "When taking a 'snapshot' image, our system automatically uses the lowest dose possible to get the best image; there's no guesswork involved or chance for overexposure," Gingrich says. "We recently made system enhancements and software updates to keep pace with new technology available. Our new 24-inch HD color flat-panel display is the largest, and only widescreen, color, and touchscreen monitor available on a mini C-arm." In addition, new system enhancements designed to improve speed and reliability include a new a solid-state hard drive, increased storage capacities, and better dose reporting with cumulative DAP and air Kerma readings with an option to auto-send to PACS. As the medical community focuses on reducing costs and improving outcomes, Gingrich feels mini C-arms will continue to be a valuable tool for orthopedic and extremity surgeons. Ferguson feels there's still opportunity to improve on what customers have today vs what they expect in image quality, dose management, and overall clinical efficiency in their practices. cases. For example, with GE Healthcare's offering of C-arms with NuBOOM video integration systems, we are enabling greater overall workflow improvement within the OR." Ziehm Imaging's Haas, meanwhile, believes that development and innovation will continue to enhance the features and functionality of mobile C-arms. "The increase in the capabilities of mobile C-arms will also increase the possibilities of procedures performed at outpatient facilities that often utilize mobile C-arm technology, ultimately giving patients the benefit of more options for care," she says.